Hands preparing sushi, ginger. Unagi maki rolls on plate. Maki rolls and wasabi. Delicious Asian food. Chef holding a sushi plate. 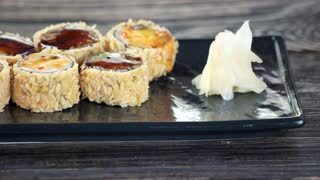 Breaded unagi maki with sauce. 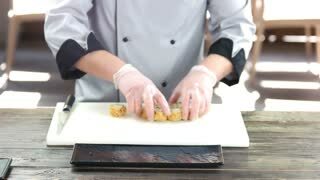 Hands cutting sushi close up. Unagi maki rolls, crispy breading. Sushi on wooden background. 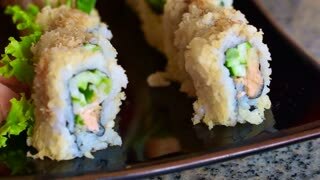 Delicious breaded maki rolls. Sushi plate, lemon and wasabi. 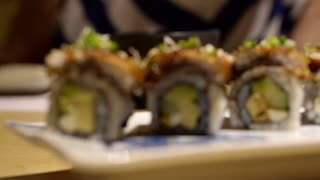 Delicious unagi maki rolls. 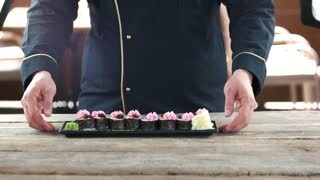 Hands of chef holding sushi. 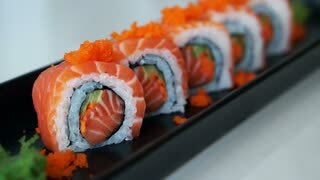 Restaurant food, maki rolls. 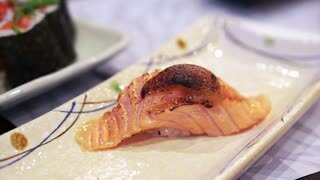 Adding Japanese Vinegar on Sushi Rice. 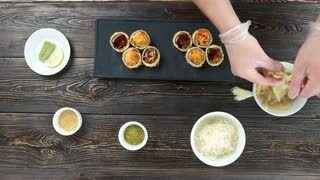 Professional Asian woman cook preparing sushi and maki-zushi dish from rice and other healthy ingredients. 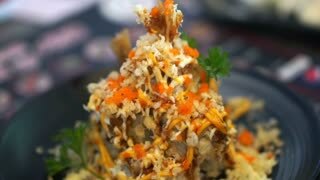 Maki sushi top view. Rice, caviar and cream cheese. Sushi chef at cooking table. Unagi maki rolls. Cooking Rice for Sushi and Maki-zushi. Professional Asian woman cook preparing sushi and maki-zushi dish from rice and other healthy ingredients. 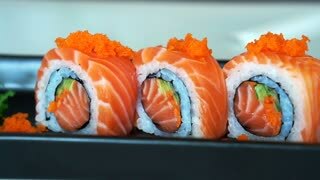 Sushi chef, maki rolls. Traditional Japanese dish. Crispy sushi rolls. Unagi maki on cutting board. Maki rolls close up. 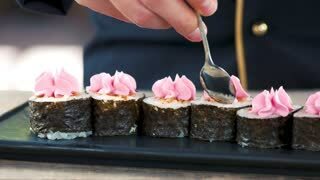 Nori, rice and cream cheese. Mixing Wasabi in Soy sauce. 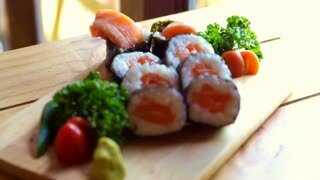 Professional Asian woman cook preparing sushi and maki-zushi dish from rice and other healthy ingredients. Breaded unagi maki rolls. Sushi plate close up. Sushi, cream cheese and caviar. Delicious maki rolls close up. 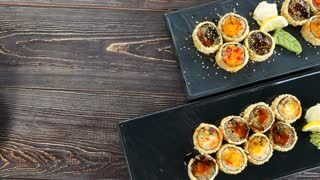 Prepared Sushi and Maki-zushi Dish on Kitchen Desk. Professional Asian woman cook preparing sushi and maki-zushi dish from rice and other healthy ingredients. Cutting Avocado For Sushi and Maki-zushi. 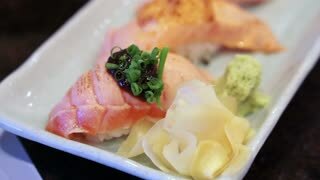 Professional Asian woman cook preparing sushi and maki-zushi dish from rice and other healthy ingredients. Carefully Arranging Rice On Seaweed for Sushi. Professional Asian woman cook preparing sushi and maki-zushi dish from rice and other healthy ingredients. 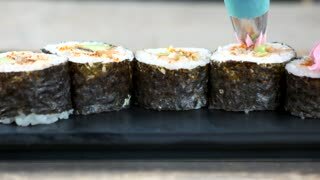 Cutting Maki-zushi Rolls on Plate. 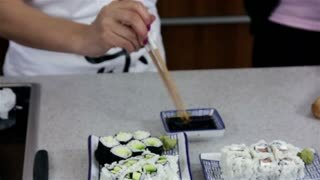 Professional Asian woman cook preparing sushi and maki-zushi dish from rice and other healthy ingredients. 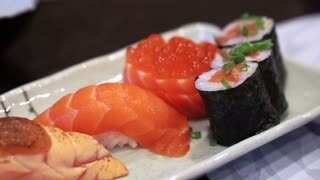 An extreme close up shot of a plate of sushi, which includes nigiri, maki, and uramaki rolls.